This month we welcome Austin SCBWI member Jason Gallaher to our interview series. 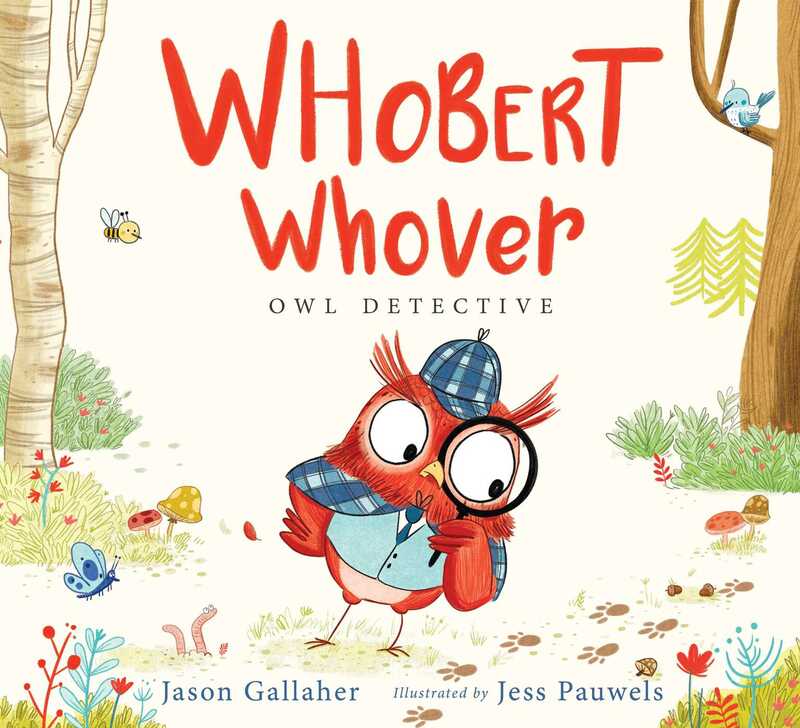 Jason loves to create stories that “mix the flamboyantly whacky with the slightly dark.” His debut picturebook, WHOBERT WHOVER, OWL DETECTIVE, is out now from Margaret K. McElderry Books/Simon & Schuster. Jason is a funny (so funny!) 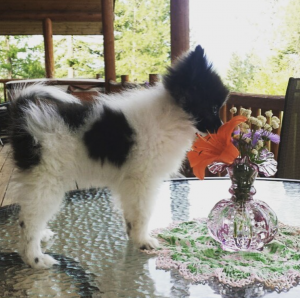 lover of mermaids, unicorns, Anjelica Huston and Pomeranians – especially Pom Brokaw. He offers great advice, from surrounding yourself with fantastical and goofball things to just being you (and definitely NOT a buffalo). Thanks for joining us, Jason! Where did you grow up, and how did that place shape your work? I grew up in Spokane, Washington. It’s a delightful town with all four seasons, just large enough to be a hot spot for arts and entertainment in the Inland Northwest, but still small enough to feel like a really community- and family-oriented place. While it’s very charming, for whatever reason I was born with an overriding sense of wanderlust. I distinctly recall being a kindergartener and already knowing I was going to live in a really big city someday, preferably where it never snowed. It didn’t matter that I was only five and had never been to a big city, I just knew that lots of people and lots of options for things to do at all hours of the day or night and never having to hear the phrase “snow tires” ever again were very important qualities to me. Those criteria stayed with me when I grew up, having spent significant chapters in my life living in Seattle, Los Angeles, and now, Austin. But even though Spokane might not be my physical home, it is my heart home. Nearly every person related to me lived in Spokane when I was growing up. We had massive family gatherings at least once a month, and the amount of love I have for my family is ridiculous. Each of my cousins is one of my horcruxes. So what has stuck with me the most about where I grew up is how my life was so heavily focused on family. In my writing I try to focus on finding family or filling a role in your family. 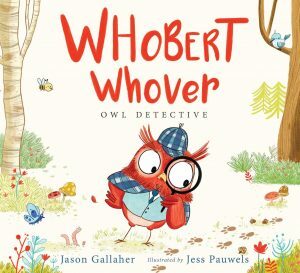 Even in something as silly as my book WHOBERT WHOVER, OWL DETECTIVE – which never mentions the word family – is all about it. Whobert wants to keep his neck of the woods safe, and takes his role as the protector of his neighbors (even if he isn’t all that good at it) very seriously. He loves where he lives and he loves the critters around him so much that he wants to make sure that nothing messes up their little paradise. I did always want to be a writer! I wrote my very first story back in first or second grade called GERBIL WARS. 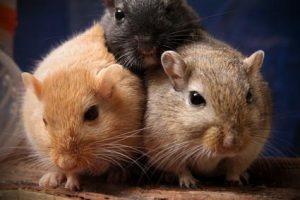 I was very into aliens and sci-fi and, clearly, Star Wars, and put that passion onto the page in a work about human-sized gerbils that travelled through space fighting the evilest race of extraterrestrials ever written: the Poo-Pooians. My favorite character was a hamster sidekick named Meatloaf. I actually still have GERBIL WARS, and it’s on my writing bucket list to turn that into a real deal manuscript. Other than GW, I also wrote Pokémon fan fiction as a kid before fan fiction was a thing, as well as wizarding journeys in America at an American sister school to Hogwarts called Froglots. Mini-baby bowl cut Jason would be so happy to know that he actually gets to make stories for a living when he grows up! A lot of mermaid-, unicorn-, and Harry Potter-themed memorabilia, a lot of talking to Pomeranians in baby voices, and a lot of pink. I’m such a proponent of creatives surrounding themselves with the things that inspire them and give them joy. 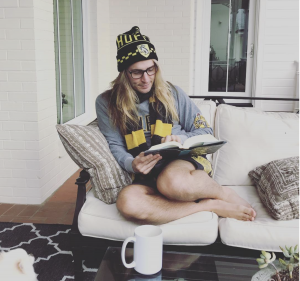 I want to create works that make readers feel as good as thinking about being a merperson or getting accepted into Hogwarts or snuggling with my puppies makes me feel. I’ve realized I’m way more of a Type A person than I thought I was before taking the leap to write full-time, so those silly, fantastical and goofball things are super helpful because they allow me to forget about my anxieties over the stuff in the writing journey that is out of my control. In both my picture book and middle grade work I write about whimsical or fantasy worlds. So I guess my everyday life feeds my work by me fantasizing about how much better life would be with magic, or with fashion-forward pandas, or with Easter bunnies turned dinosaurs. Plus, our world feels really tumultuous and uneasy right now. I think tumult is so fun to watch when I’m binging the Real Housewives, but in real life that stuff is scary! So my writing time is an escape from it all, creating worlds with an overall message of hope and fun and magic, because I do believe—even with everything going on that seems frightening and uncertain—magic exists in the world. Tell us about some accomplishments that make you proud. 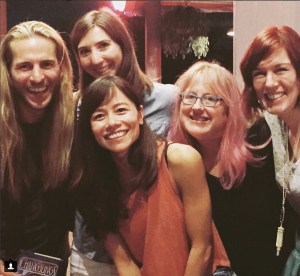 I’m super proud of Whobert and getting to the keyboard as often as I can, but I’m exceptionally proud of the Austin kid lit family we all continue to build up and be a part of. I was so touched when I moved here and was instantly welcomed with open arms by members of the Austin SCBWI chapter. I had never been a part of a writing community that was so connected, that met so regularly, that celebrated everyone’s wins and lifted each other up when there were setbacks. I love getting to be a part of this family, and I hope to give the love and positivity back that I have felt from all of you! I’ve lately been surprised by how satisfied I can feel in my creative life even with no career achievements in the recent past. I haven’t sold a manuscript since December 2015, and throughout 2017 that was really freaking me out. I was obsessing over which projects were out to which editors and nonstop wondering whether “today is the day” for my next sale. When people would good-naturedly ask what was new in my writing life, I wanted to strangle them first and ask questions later. It hit me that that probably wasn’t the healthiest instinct. But I had a mental shift in 2018 that happened for two reasons: the first is a new writing mentor, Carrie Jones, whom I met through the Writing Barn’s Write. Submit. Support program. Carrie is the most positive and uplifting force. If my writing journey in 2018 was America’s Next Top Model, Carrie would be Tyra Banks. She has so much wisdom and energy, and through sharing my stories with her I’ve realized how much joy I get from anyone reading what I’ve written, whether it’s bound and printed or just sent through an email with a note asking what she thinks. The second reason for the mental shift is the current middle grade project I’m working on. I love it, and I get so much energy revising it. I feel and breathe this story, and it reminds me of how exciting it can be to write and live in a world that I created. I’ve been on such a high from this current WIP that I went back and read what I’ve written before that’s still on submission to make sure I felt as passionate about reading those works as I do about working on my most recent manuscript. It was so much fun! That’s not to be all like, “Everyone should bask in my brilliance!” Instead, it was a great moment for myself to know that even if none of what I’ve written hits a bookstore shelf, I still have really loved what I’ve created. It was very empowering. When a reader discovers your work, what do you hope they find? 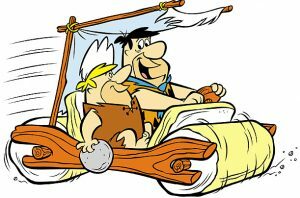 In Flintstones speak, I hope they find a “gay ol’ time!” I hope they have a ton of fun and get lost in the characters and worlds I’ve created. 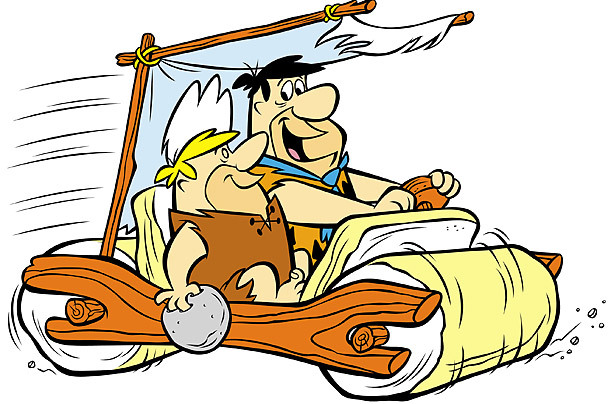 When you watch the Flintstones, can you think of anything else but the Flintstones? I sure can’t. There’s also the tongue in cheek version of a “gay ol’ time,” in that I write stories about characters who are flamboyant or wacky or feminine in a world that can so often feel too toxically masculine. I’m a gay man, and probably the first three adjectives I’d use to describe myself are flamboyant, wacky and feminine. That is not to say that all gay people would describe themselves this way, but it is to say part of my personal experience as a gay person incorporates qualities that our heteronormative history in America would dictate a man cannot express. Even in 2018 and even as a grown adult I still find myself feeling unsafe or threatened in situations that I can sense are rigidly straight, and kids make it really clear that gender rules are a huge part of their lives. I’ve found through visiting schools that kids are extremely quick to gender police each other and the world around them. 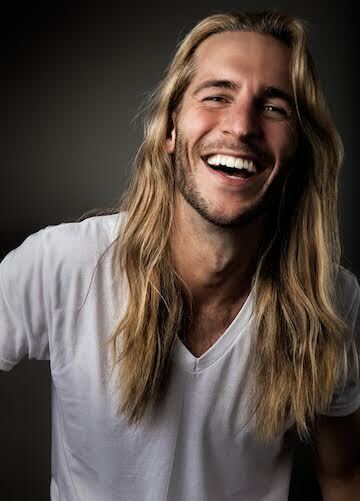 The number one question I get from kids when I do school visits is “Why do you have long hair?” or, as one student at my most recent school visit bluntly stated, “You have girl hair.” I want to encourage the notion through my work that you can be the person that is in your heart, that these rigid rules we have of how to act like a proper boy or proper girl are arbitrary. Whether you’re the girl who is headstrong and wants to run the country or the boy who is feminine and only wants to wear pink, you be you! Would you rather be an iguana or a buffalo? Iguana. Those buffalo have to fend for themselves in harsh winters, and I ain’t never gonna do that. Would you rather have to sing instead of speaking or dance everywhere you went? Sing instead of speaking! I already do this about 83% of the time. This is the only way to live! Would you rather live on a plant or beneath the sea? BENEATH THE SEA! 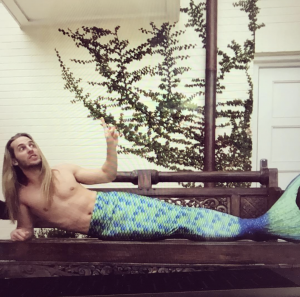 My dream job is to become a mermaid! 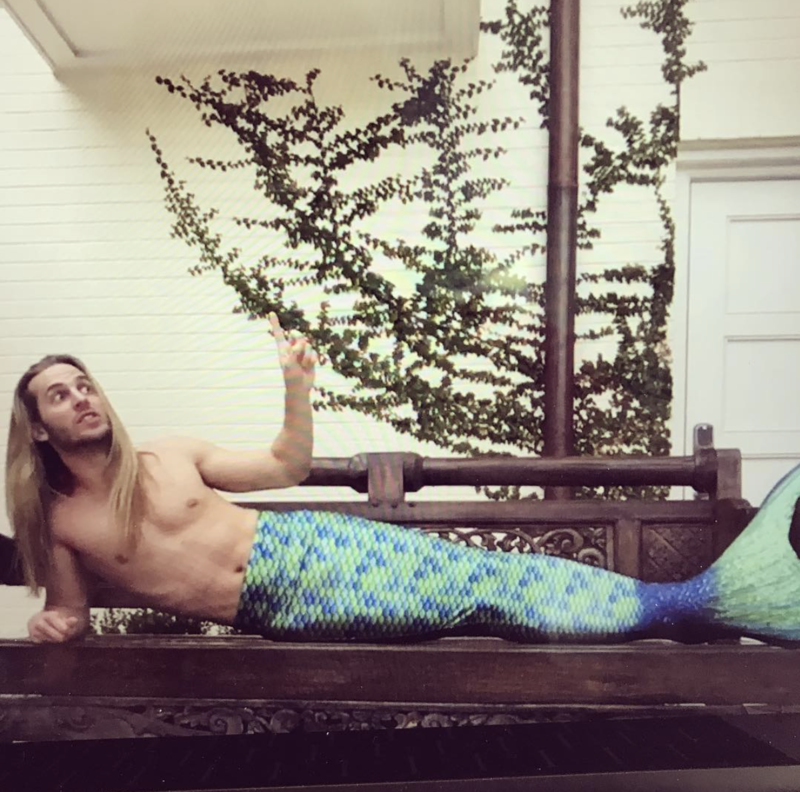 I actively pursue this dream by wearing a mer-fin and gabbing books on YouTube.